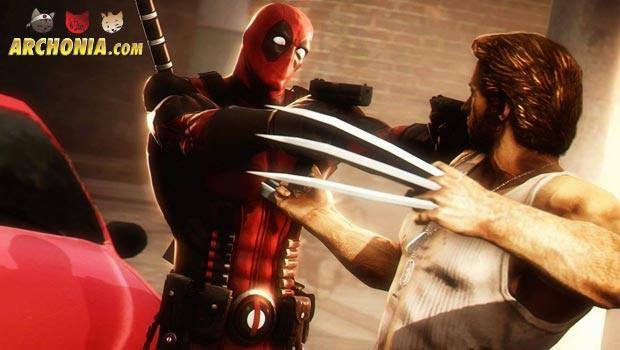 Hugh Jackman’s Wolverine has been THE guy in Fox’ X-Men movie franchise! He lead nearly every movie and the one he wasn’t part of the cast he had a scene stealing cameo in, so naturally people are wondering if he will show up in any capacity in the upcoming Deadpool movie in February 2016! 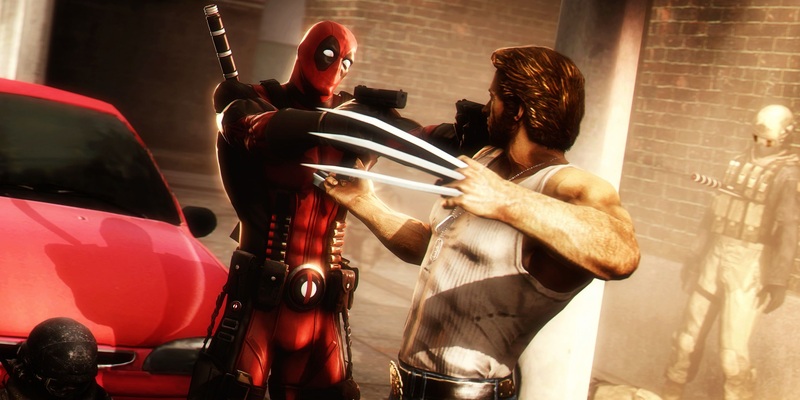 It would be a great chance to either have a really epic fight scene between the two, or at least make fun of Deadpool’s character in the often maligned Wolverine: Origins movie. With Batman and Joker having separate films next year many geeks wondered how long it might take until we will see these two finally square off in their newest incarnations (Ben Affleck and Jared Leto respectively) for the DCCU. While I reported a few weeks ago that Batman was seen on the set of Suicide Squad, it was a weekend where Jared Leto has been on tour with his band 30 Seconds to Mars, so they probably did not shoot a Batman vs Joker scenes there… but they did yesterday! The Batmobile was seen and filmed on the streets of Toronto chasing down the Jokers pink Lamborgini! I really hope this won’t be the only interaction we will get between Batman and Joker, but it is safe to say that whatever scene both guys will share is probably going to be a very short one, since Batman is not an official part of the movie at all. Maybe he tries to catch Joker and the Squad, who are after the clown themselves, catch him before Batman can, or something like that. We will find out summer next year! 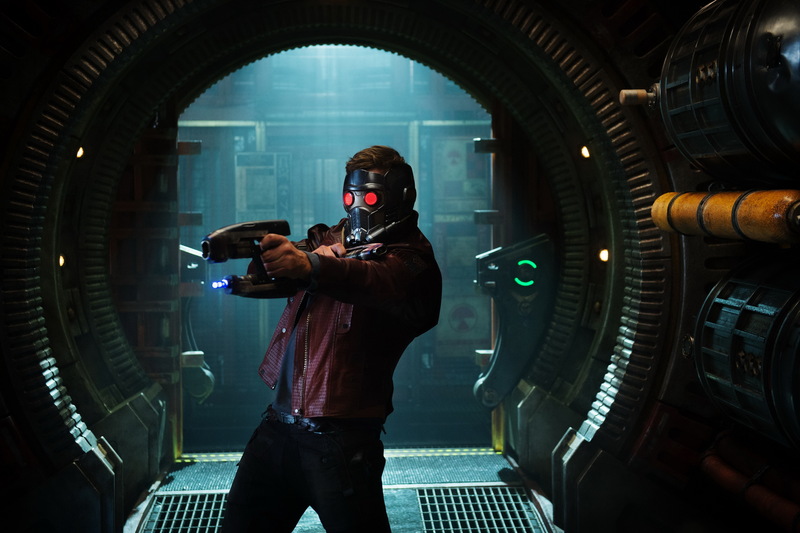 Chris Pratt, the charismatic star of Parks and Recreation and of course Guardians of the Galaxy, revealed a few interesting tidbits about his current contract with Marvel Studios last week in an interview with GQ. So, Avengers Infinity War parts one and two make the most sense here, right? I doubt we will see him in any earth based Marvel movie anytime soon. Also in the interview Prat commented on those Indiana Jones/Ghostbusters rumors. The new trailer for the documentary about the Make a Wish Foundations effort to help turn a little boy into Batman for a day has debuted online last week. San Fransisco was turned into Gotham for a day and the little guy could forget about his leukemia for a while. Check out the trailer above! The story will also be turned into a feature movie soon, with Julia Roberts starring and producing. 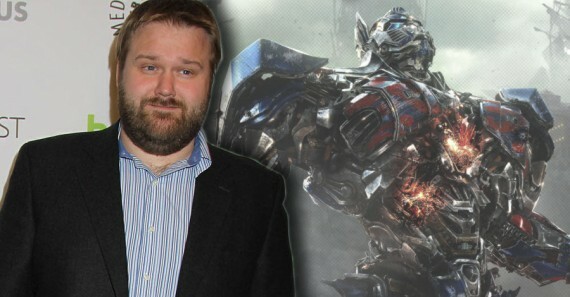 Deadline reports that Walking Dead creator/writer Robert Kirman landed the gig to write the upcoming Transformers movies and spin-offs together with Akiva Goldsman (who still gets used for genre movies even after writing the script to Batman & Robin), Zak Penn, Art Marcum & Matt Holloway. There is not much else to report, other than it seems they are trying to take their starting cinematic universe a lot more serious than before! We’ll see if they manage to up the quality of the writing of these movies. The newest chapter in the saga of the Witcher came out last week and here is its epic launch trailer! I have had the game for almost two weeks now and it has been a BLAST so far! A very deep and dense RPG world that rivals those of Skyrim and Fallout 3, paired with superb writing, graphics and combat this is truly one of the best videogames ever made! So… you know… go get it!!! If you wanna have some Witcher merch check out or videogame merch shop on archonia.com! Batman Arkham Knight, probably one of if not THE most anticipated game of the year, is coming closer and closer! With the release on June 23rd we are getting some more details on the game as well, like the first few pictures of ingame skins you can use to play through the game. For the first time ever you will also be able to re-skin the character at the start of the game and even have him appear in the skin of your choice in cutscenes! 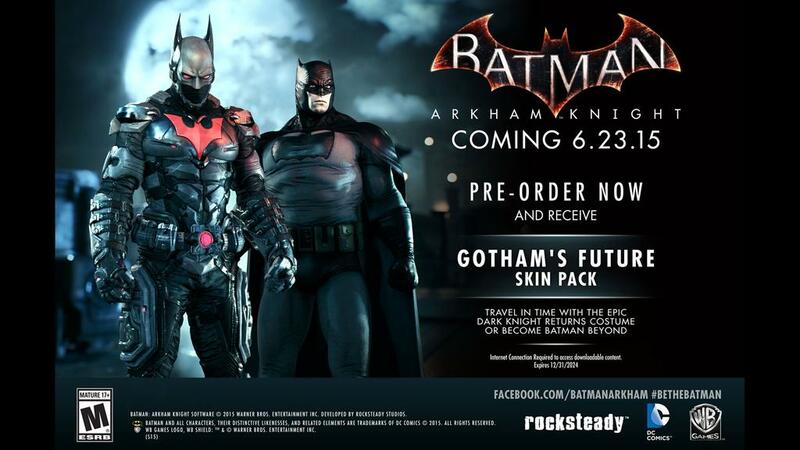 Here we have a quick look at the Batman Beyond and Dark Knight Returns inspired skins, which are titled Gothams Future. As I said before, check out or gaming merch shop on archonia.com for all your gaming merch needs! Justice League Mortal was the George Miller (Mad Max Fury Road) helmed Justice League movie, which was supposed to shoot in 2007. 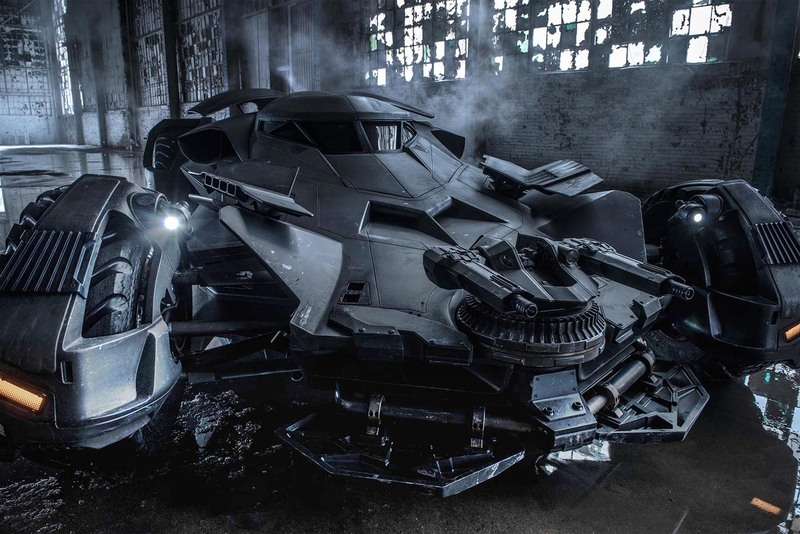 It already had a cast, crew, sets, costumes, script and locations assembled, but due to a multitude of problems like a strike in the writers guild of america and Christopher Nolan not being a big fan of another Batman existing at the same time as his own version (none of which had to do with the movie itself) the project was killed just a few days before shooting was scheduled to begin. 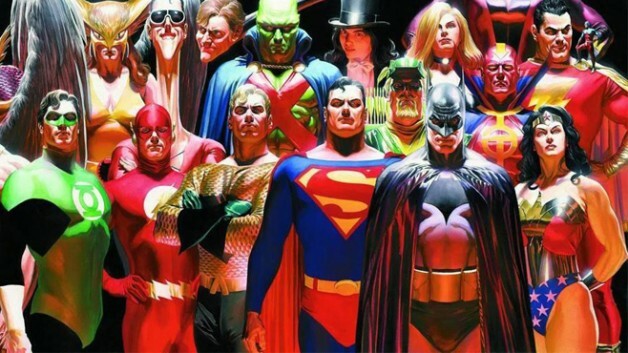 Armie Hammer as Batman, DJ Cotrona as Superman, Adam Brody as The Flash, Common as Green Lantern, Teresa Palmer as Talia Al Ghul, Zoe Kazan as Iris Allen, Mad Max: Fury Road’s Megan Gale and Hugh Keays-Byrne as Wonder Woman and Martian Manhunter respectively, and Jay Baruchel as villain Maxwell Lord would have graced the screens as the League and their enemies in this film, but the movie gods said no. Now there is going to be a documentary about this, the story behind it and what kind of movie it would have been if it hadn’t been stopped. It is not clear how much of the movies test footage, behind the scenes stuff and sets/costumes are being revealed for this, but lets hope for a lot, since we still haven’t seen a single leaked picture of any of it (which is craaaaaaazy in todays world of leaks and spy footage). The filmmakers haven’t yet spoken to Miller himself and are currently considering a crowdfunding campaign to further fund the project. We will keep you updated on this on the Archonia Blog!